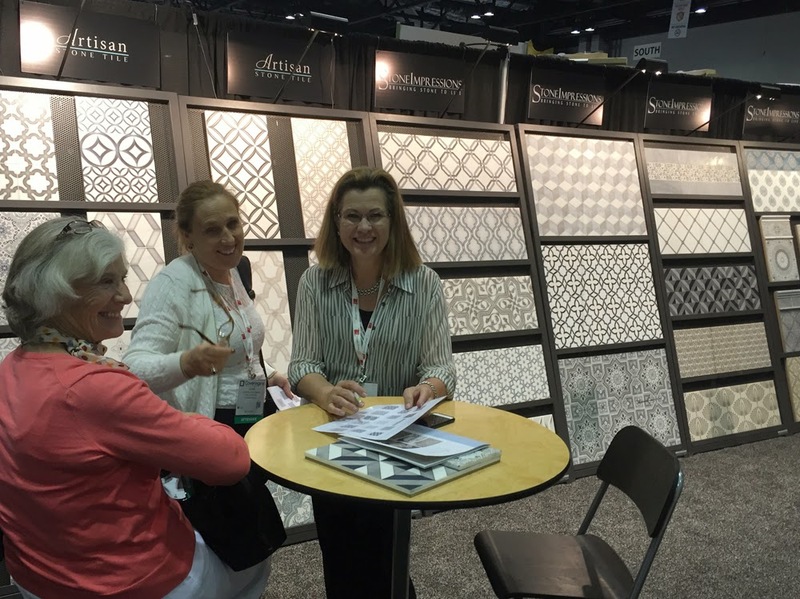 We exhibited at Coverings 2015 last week and it was a roaring success! 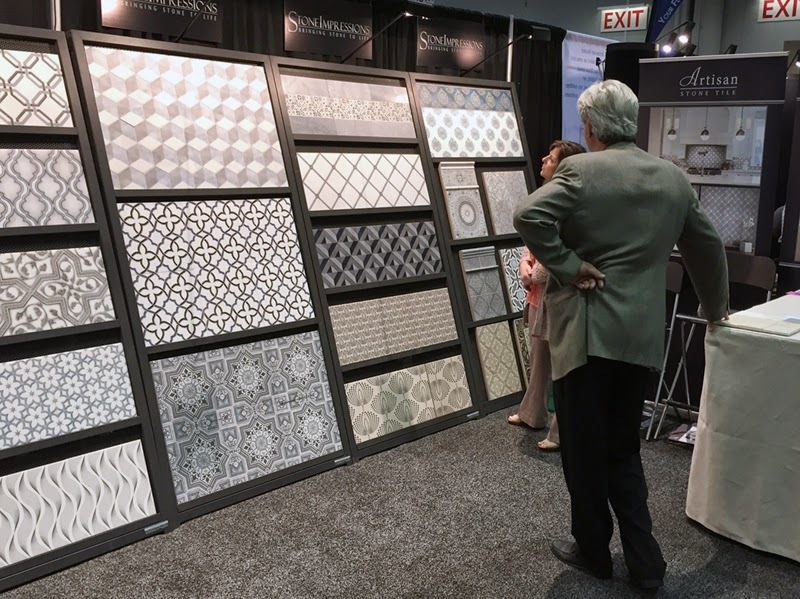 Everyone loved the new tile designs and we truly enjoyed seeing our loyal dealers and putting faces to names. And it was fun to meet all the new people who were drawn to our eye-catching displays. 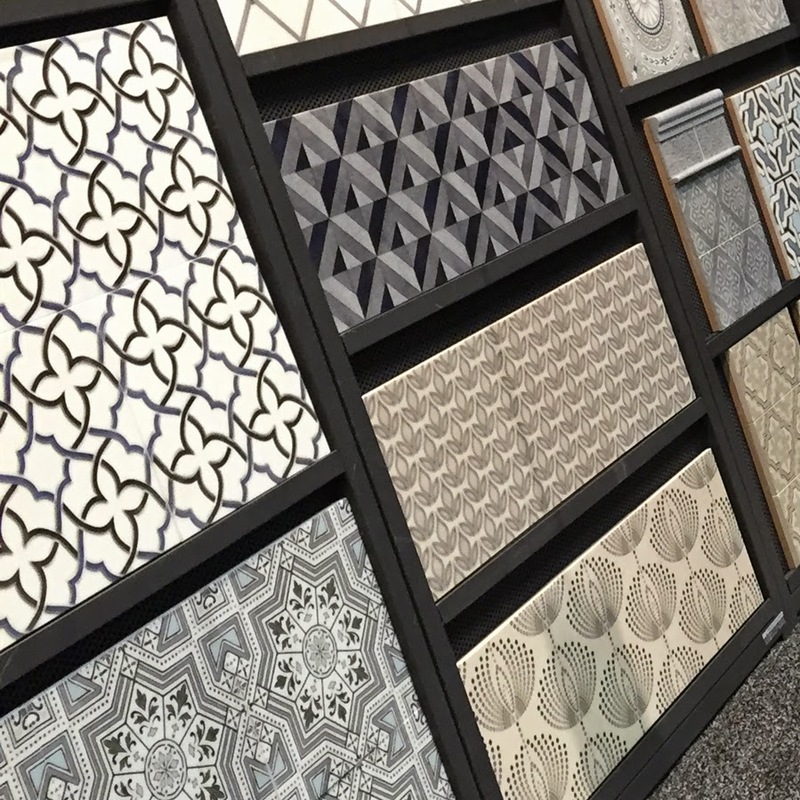 Our booth featured both collections from our new tile catalog and beautiful Carrara designs from our in-stock tile line Artisan Stone Tile.